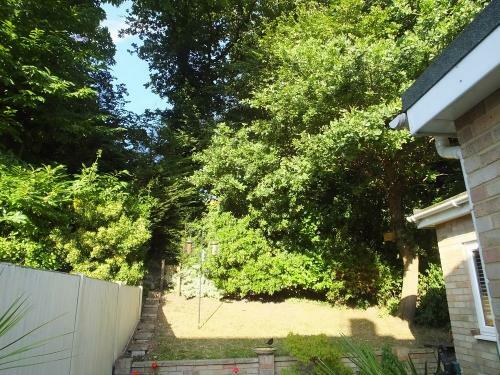 I have mentioned on a number of occasions that I have a former railway embankment right at the end of my small patio garden. This is not within my property but I do keep it clear of the uncontrolled growth of brambles and the like that do occur further along. This is how it looks today. The railway that once ran along the embankment is significant in railway history for several reasons. 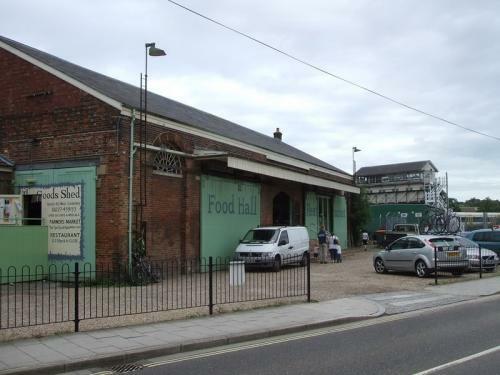 When constructed in 1829 it was called the Canterbury and Whitstable Railway, running from West Canterbury the 7 miles to Whitstable Harbour on the North Kent Coast. 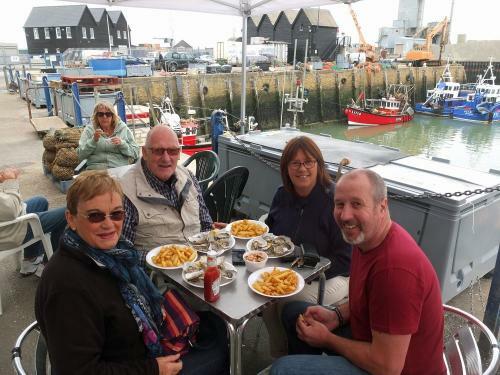 As visitors to Whitstable enjoyed the extensive local seafood, the line was soon affectionately known as The Crab and Winkle Line. 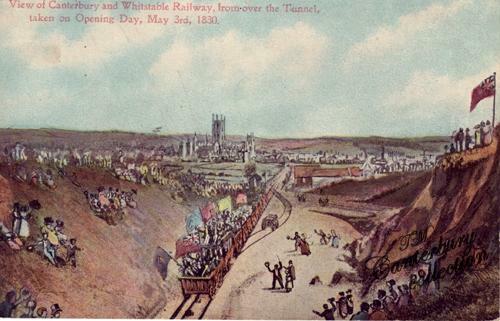 The line was inaugurated on 3 May 1830 and as it operated to a timetable and carried fare paying passengers it has the reputation of being the first public railway in history. 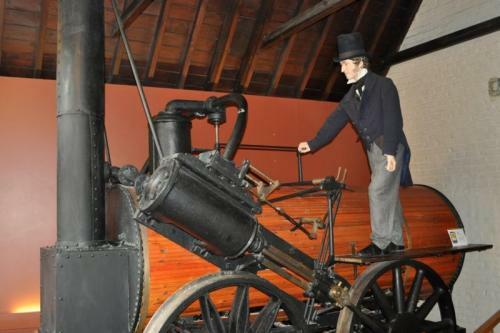 The Stockton to Darlington Railway, that started operations in 1825, was originally horse drawn and then when powered by Stephensons Locomotion No 1, it hauled freight and not fare paying passengers although passengers that did travel rode in coal trucks. 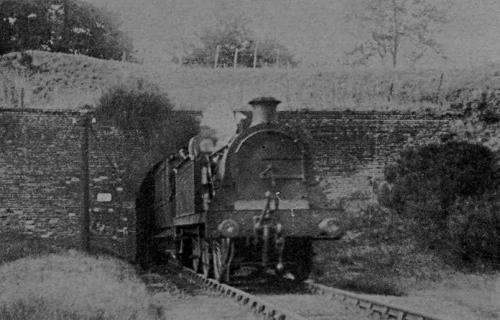 Many say that the Liverpool to Manchester Railway can claim the honour of the worlds first public railway but that was inaugurated on 15 September 1830 so my railway at the bottom of my garden was a worlds first. The last passengers used the line in 1931 and the last coal carrying freight train ran in 1953. 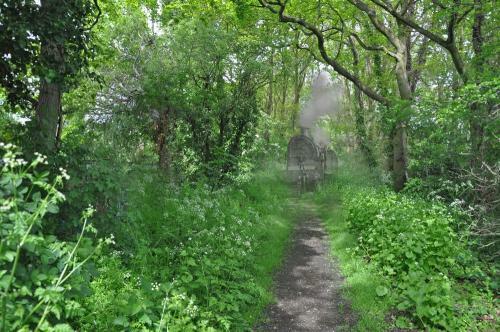 The track was removed but the footpath along the trackbed, now much overgrown, is popular with dog walkers. 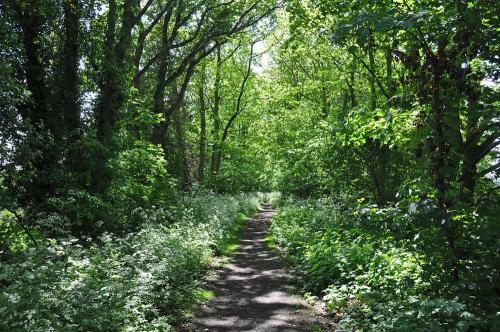 A little further north, the trackbed has been hard surfaced for cyclists and walkers to follow the line of the old railway on to Whitstable. The locomotive which was built for this line was called Invicta. All original locomotives were given names, not numbers. 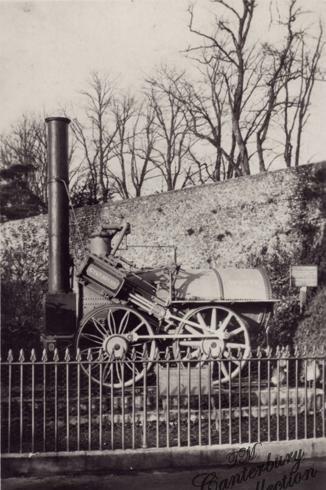 This engine only produced 12 horse power which was not sufficient to haul its train up two slight inclines on the route. This was overcome by the use of a cable between the track that was driven by stationary winding engines, to haul the train. Just beyond where I live there is a hill and this was navigated by digging a tunnel, 764 metres long through the hill. 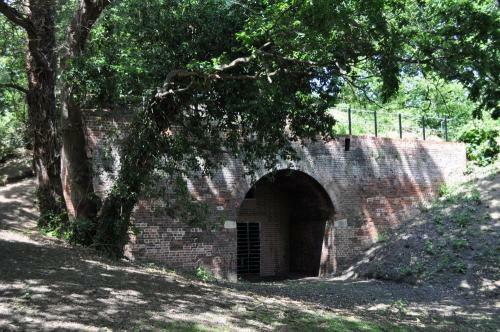 Tunnels had been dug in the canal system but this was the worlds first ever railway tunnel. Here is a selection of my pictures, and some old photos, of points of interest. Some that remain and some that are no longer. 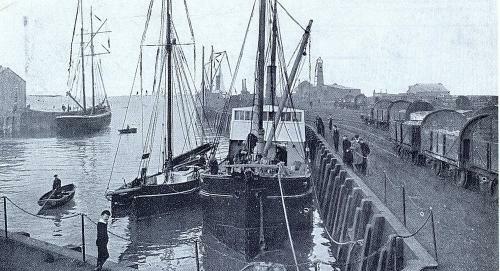 Who is the boy in the photo - the one who is bottom left in the Harbourside arrival point circa 1910? I don't know who he is Islandlife. I just wanted to note that he is standing where, 100 years later, we sit for a seafood snack on the quayside.